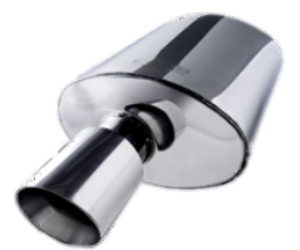 The Forge Garage are a expert fitting centre for Exhausts such as Bosal. Forge stock the correct equipment for a majority of branded of exhausts to ensure that they are fitted correctly for safety. It is advised that you should have your exhaust checked every 6250 miles (10,000 km) or at least once a year to ensure that it is not damaged. It is very important that the exhaust is checked as it is one of the most hard working components on any vehicle as it is constantly in use whenever the engine is on. Having a healthy exhaust system does not only ensure safety whilst on the road but it is also cost effective. Your exhaust is part of the MOT test so if your car is due it's MOT pop into the Forge Garage so we can check your car or van's exhaust meets the required standards. A damaged or rotting exhaust can cause a lot of damage if it comes away from under the car when your driving in addition to the inconvenience of breaking down and getting towed home. Making sure your exhaust is up to the job as it is an important part of maintaining your car. 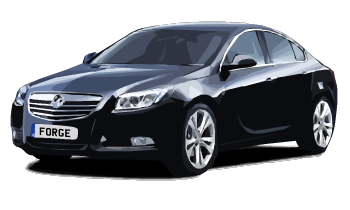 Contact us on 0118 983 2822 or view our Contact Us page all of our contact details.